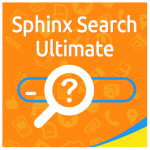 If for some reason you do not want to install Sphinx Search Ultimate by Mirasvit, we recommend you to pay attention to Search AutoComplete & Suggest Pro for Magento 2 and 1, since this extension fundamentally improves the search process in your ecommerce storefront. It performs fast and precise predictions to complete words or even whole phrases your customers search for. Consequently, they spend less time looking for desired goods. Besides, you increase chances that they will find them or buy something else: it can be any item from suggested results. Such functionality looks great, so let’s make a brief excursion through the extension’s features and interfaces. First of all, we’d like to describe the relationship between website performance and purchases. The faster your customers interact with your ecommerce store – in case of Search AutoComplete & Suggest Pro the performance is bumped due to better search, the more purchases you get. 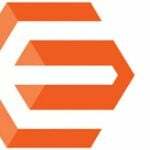 It is also necessary to mention that Google prefers fast websites, so performance is a strong ranking factor, but let’s return to our main topic – the extension by Mirasvit. By using it, you provide your visitors with better user experience, increasing satisfaction and loyalty. 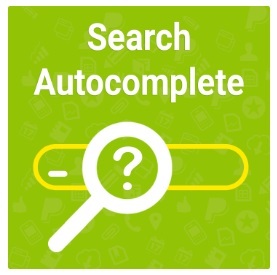 Hence, being a perfect solution for completing the search queries and suggesting the relevant product options, Search AutoComplete & Suggest Pro provides a positive impact on sales. 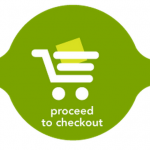 According to Mirasvit, over 15% of store visitors rely on a search box when they visit an ecommerce website. Since these visitors know for sure what they are looking for and bring about 50% of all orders on average, the Search AutoComplete & Suggest Pro Magento extension is a must-have improvement for your shop. 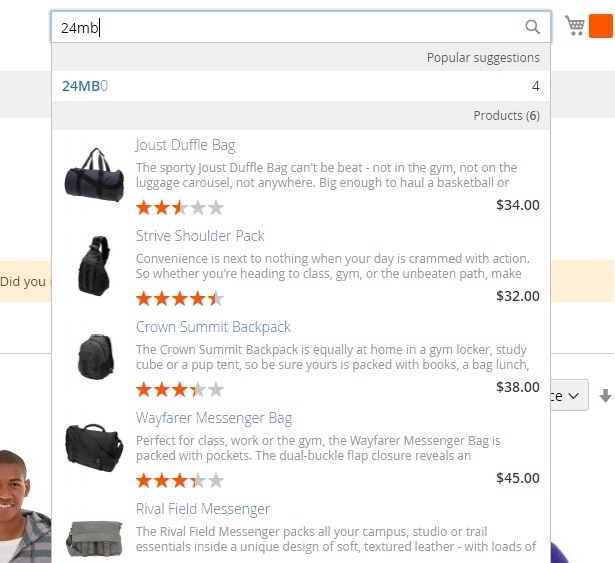 The Magento 2 search autocomplete module helps your web store visitors correctly spell an item name and find the desired product in the most comfortable way. In addition to the enhanced user experience, the Mirasvit tool also provides an intuitive backend interface where you can efficiently manage all extension settings. Let’s have a look at it. You can customize the way the extension works under System -> Search Management -> Search Indexes / Manage Synonyms / Manage Stopwords / Settings. On the Search Indexes page, there is a grid that consists of 6 columns: ID, Title, Type, Position, Status, and Action. All search indexes are gathered here. You can reindex or edit each one as well as create a new search index. 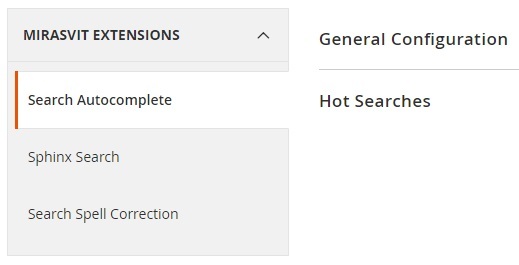 If editing an existing search index, you have to deal with 3 tabs of options: General Information, Searchable Attributes, and Additional Options. In General Information, you can change title and position. Besides, it is possible to enable/disable the index here. 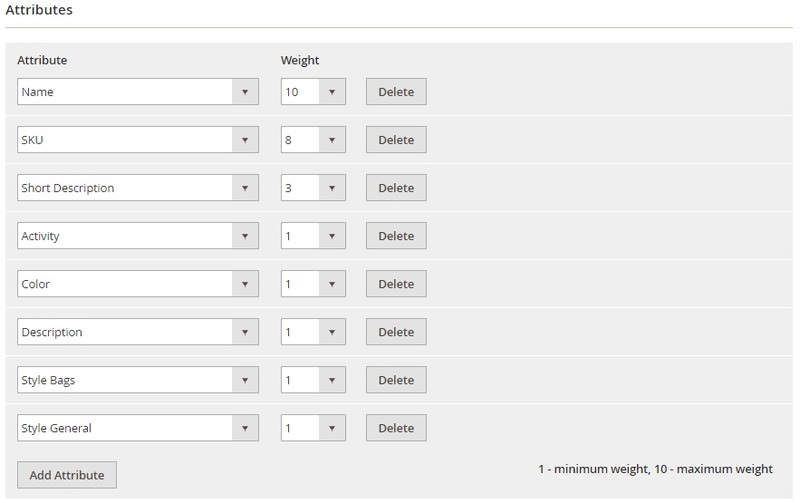 In Searchable Attributes, you add attributes utilized in the search algorithm and specify the weight of each attribute. 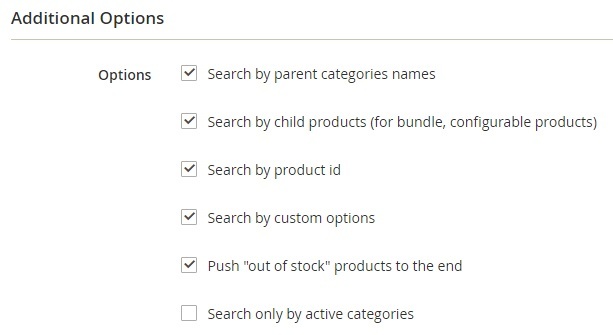 Search only by active categories. As for synonyms, they are also gathered in a grid. In this case, the extension lets you apply mass actions (delete) and filtering/sorting for Term, Synonyms, and Store columns. It is possible to add new synonyms or modify existing ones here. While adding or editing a new item, you should specify such parameters as Term, Synonyms, and Store. Stopwords are available in a grid as well. The grid consists of 3 columns: Checkbox, Stopword, and Store. Filtering and sorting are available for the 2nd and the 3rd columns. You can delete stopwords in bulk. While adding a new stopword, you should type it in an appropriate field and choose a store view to which to apply the stopword. As for Search Autocomplete settings, they are divided between two sections: General Configuration and Hot Search. In the first section, you specify the minimum number of characters to search, the delay interval before the extension starts looking for the query, and searchable content (popular suggestions, categories, pages, and products and the maximum number of results for each of them). Next, there is a subsection with product settings. Here, you can show/hide price, thumbnail, rating, and description. Besides, there is the Appearance section, where you can add CSS styles. In the Hot Searches section, you can decide whether to show it or not and add search queries. As for the frontend appearance of Mirasvit Search AutoComplete & Suggest Pro for Magento 2 and 1, we are going to describe it on the example of various search terms. 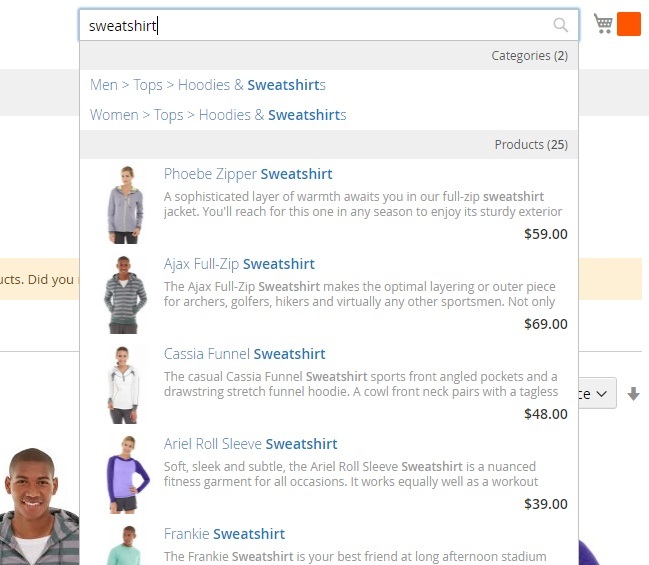 Let’s enter ‘sweatshirt’ in a search box – the extension provides 2 category and 25 product results. It displays a name, description, thumbnail, and price for each product. The search term in each item is highlighted. Search by SKU is based on the following principle: you enter SKU (let it be ’24mb’), and the extension rapidly displays popular suggestions and products. If you do not enter any search query, the extension proposes terms from hot searches. Only 3 symbols are necessary to autocomplete the search item. The extension increases the speed of interaction between customers and your website. Besides, it helps customers spell items correctly and find products quickly and conveniently. From the perspective of a Magento admin, the module provides an intuitive backend where you can manage the searchable content and the look of results. Thus, the tool increases search results conversion rate and helps to drive more sales. Mirasvit Search AutoComplete & Suggest Pro for both Magento 2 and Magento 1 introduces a significant user-oriented improvement. As we’ve already mentioned, people using a search box already know what they want to purchase, so they are more likely to become your buyers. Also, by offering a better user experience, you increase chances they will buy any product on your website. Besides, since the Search AutoComplete & Suggest Pro extension costs just $69, it’s a rational investment. Note that now you can buy the M2 module with a discount for even a lower price – only $55!